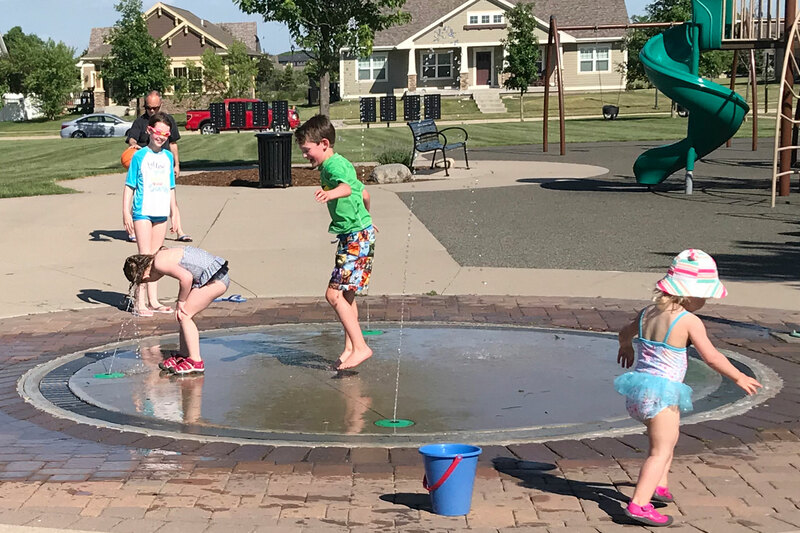 This popular park nestled in the Prairie Trail community incorporates gathering and play opportunities for the whole family. 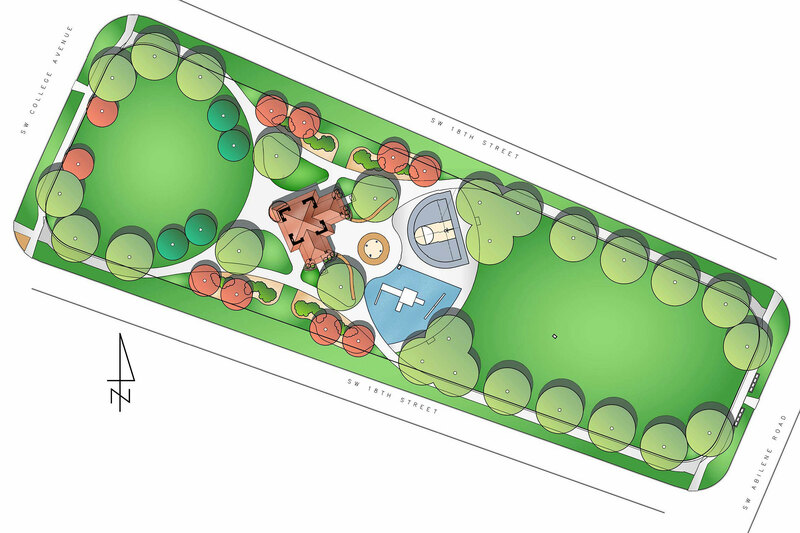 Activities are clustered together in the center of a formal, tree-lined open space. 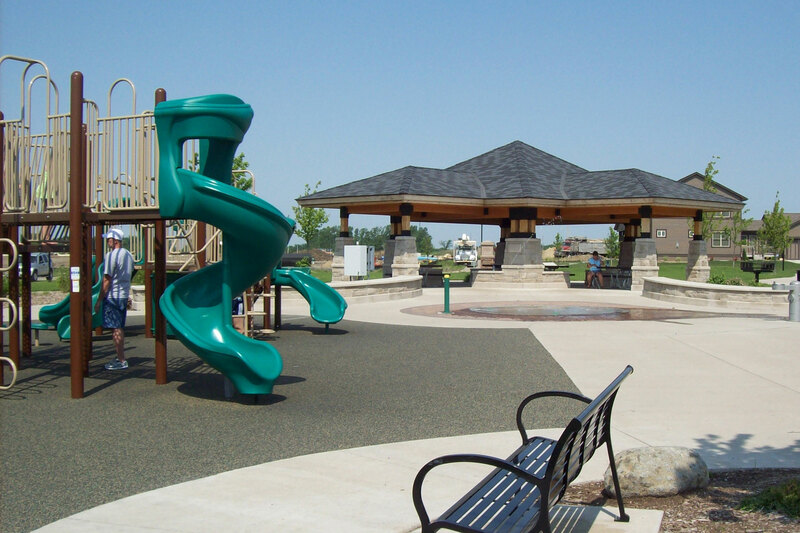 Nilles Associates served as primary consultant and coordinated custom components including play equipment on a poured-in-place rubber surface, shelter with built-in seat walls, basketball court, and interactive splash pad. 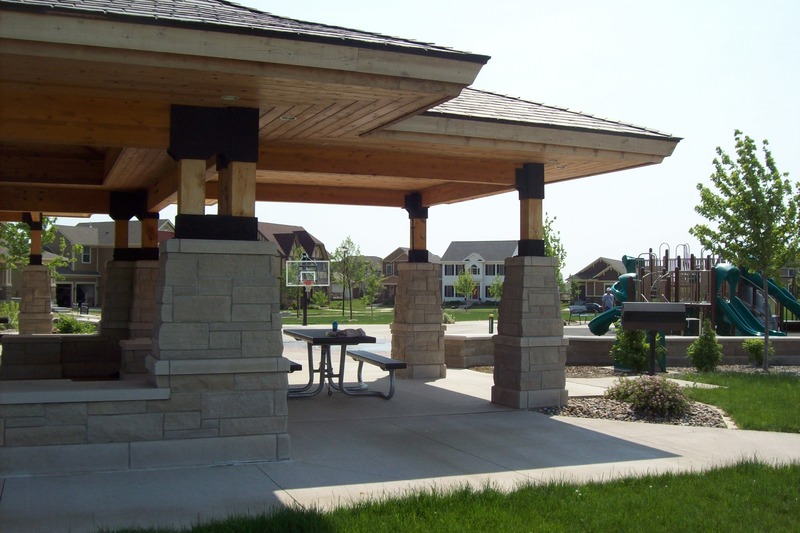 Nilles provided all construction administration, staking, and observation of the project while working with the construction company and their subcontractors.